LANDER — The first sign that something was wrong came Monday, April 18, when Walker Kuhl, a Salt Lake City federal bank examiner, failed to show up for work. Kuhl, 27, and his climbing buddy, Montana emergency room doctor Gregory Seftick, 31, had gone on a weekend backcountry ski trip to Grand Teton National Park, intending to explore the Teepe Pillar and Teepe Glacier features of 13,770–foot Grand Teton. 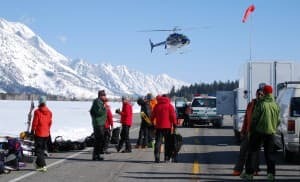 More than a week later, after what is believed to be the most expensive search and rescue operation in Grand Teton National Park history, Kuhl and Seftick’s bodies were found still tucked in their sleeping bags, crushed by a massive April 16 Garnet Canyon avalanche that buried them under 13 feet of snow. 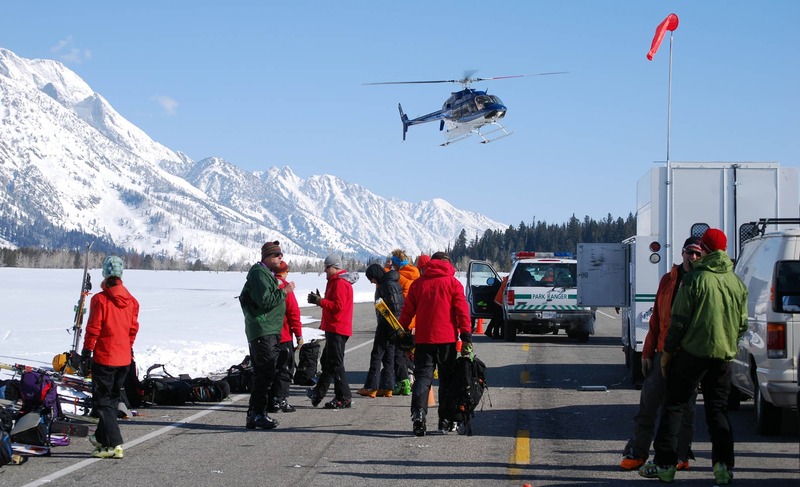 According to Teton County Deputy Coroner David Hodges, the two men, both superbly fit and experienced mountaineers, died of asphyxiation within minutes of the avalanche. Rangers at the scene found no ice crystals near the men’s faces that would have indicated they had been breathing for any significant period of time after the slide. At that depth, the weight of the snow on their bodies was between 195 and 260 pounds per square foot. Hodges believes the immense pressure on their diaphragms prevented them from drawing a breath. But back on the morning of April 18, when Kuhl’s girlfriend reported him missing, park officials were uncertain about the skiers’ whereabouts. Imbued with a proud National Park Service tradition of saving those who can be saved and recovering the bodies of those who can’t, personnel from the Jenny Lake Ranger Subdistrict launched an extensive search that was often complicated by difficult weather and technical problems. Three more feet of snow fell on the searchers as they hunted for the two missing men, probing the snow with standard 10-foot telescoping metal poles. Under the new layer of snow, however, the Kuhl-Seftick campsite was now well below their reach. “I’m sure we probed right over the top of these guys’ bodies,” said Jenny Lake Subdistrict Ranger Scott Guenther. 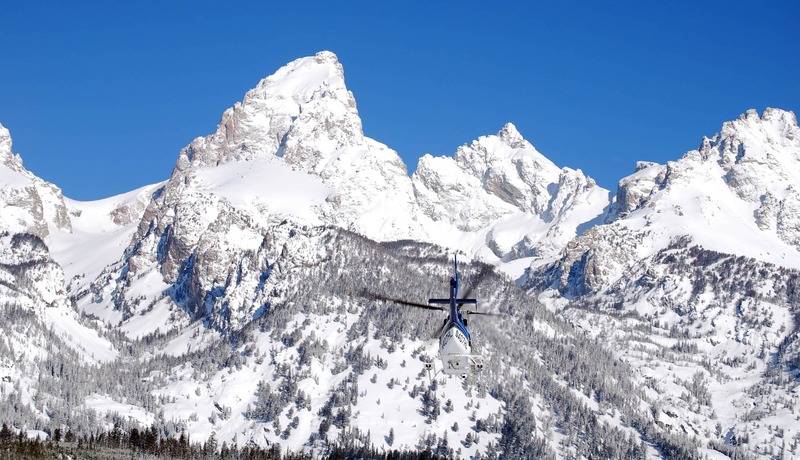 The Teton County Search and Rescue helicopter that the Park Service leased for the search — at a cost of $33,000 — was grounded repeatedly by bad weather. According to park spokeswoman Jackie Skaggs, the rescue-recovery operation cost $115,000 — more than double any previous search on record at Grand Teton. America’s national parks have a tradition of coming to the rescue of visitors in trouble and recovering the bodies of those who die on park grounds. In 2009, the most recent year for which national records are available, Park Service workers conducted 3,568 search and rescues that cost a total of more than $4.8 million. “We average about $5 million a year taken from our general funds,” said Jeffrey Olson, a Park Service spokesman in Washington, D.C. Most search and rescues are relatively simple matters: a child wanders from a campsite in Yellowstone National Park; boaters have too much to drink in New York City’s Gateway National Recreation Area; an elderly visitor gets disoriented in Yosemite National Park. But in some of the more remote and rugged parks, searches are very costly. In the past five years, for example, Alaska’s Denali National Park has had three prolonged searches that cost taxpayers $127,000, $132,000 and $118,000 respectively, according to Denali spokeswoman Maureen McLaughlin. Neither the people rescued nor the families of those whose bodies were recovered were charged for the Denali operations. Nor were the families of Walker Kuhl and Gregory Seftick at Grand Teton. In light of the national budget crisis, Denali and other parks are exploring the idea of charging additional “special use” fees for particularly hazardous adventures. Denali recently proposed charging a $500-per-climber fee to scale Mount McKinley. Climbing organizations such as the American Alpine Club and Access Fund accept “special use” fees in principle but contend $500 is too high. “The question is whether people who are engaged in high-risk activities pay more,” said Alpine Club executive director Phil Powers. Powers said his non-profit organization has recently begun offering climbing insurance to its members that covers up to $5,000 in rescue costs. On May 17, Powers himself was seriously injured in a fall outside Golden, Colorado that required rescue by the Golden Fire Department and evacuation by helicopter to Denver. (For more on this incident see Pitch).According to Alpine Club spokesman Luke Bauer, the rescue would be covered by the membership insurance. As yet, nothing similar to the Denali fees has been proposed for Wyoming’s Grand Teton and Yellowstone National Parks. Some national park policy experts have proposed reforms in the search-and-rescue accounting system. Travis Heggie, Recreation and Tourism Studies professor at the University of North Dakota, in 2009 published an article in the Wilderness and Environmental Medicine journal, examining search and rescue operations in all the national parks from 1992-2007. A former risk assessment officer with the Park Service in Washington, D.C., Heggie contends that the actual cost of search and rescue operations in the parks is underreported. “I think if all the dollar figures were added — such as hidden equipment wear-and-tear and medical costs — there would be a doubling of the true search and rescue figures,” Heggie said in an interview with WyoFile. The problem, said Heggie, is not the money, which in 2009 averaged $1,345 per incident. Even at the $10-million-a-year figure that he thinks is a more realistic total, the annual cost of search and rescue in the 394 national parks is a tiny fraction of the Park Service’s $2.75 billion annual budget. Moreover, search and rescue efforts save hundreds of lives each year. In 2009, the Park Service reported 370 “saves” — defined as a rescue where “death or serious harm” would have occurred without Park Service intervention. But Heggie said that paying for search and rescue by taking the money out of the Park Service general funds — as is the current practice — “pilfers” resources from other valuable programs. 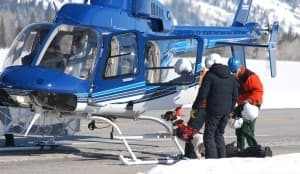 Another way to tackle the cost of search and rescue, Heggie said, would be to borrow a page from European countries, where alpine mountaineers and other adventurers are required to have private travel insurance that pays for search, rescue and medical treatment. “Maybe people like these guys going into the Teton ought to be carrying some kind of insurance,” Heggie said. Unlike Europe or South Asia, where Pakistan and other Himalayan countries require climbers to post security bonds, the United States as a rule does not charge people for searches or rescues in its national parks. About the closest we’ve come to it are park officials citing someone for creating a public nuisance. Most experienced park rangers, in fact, are opposed to the idea of sending a bill to those they rescue. Searches like those for Walker Kuhl and Gregory Seftick, which cost more than $100,000 — a Park Service trigger point that requires approval in Washington— are rare. According to Skaggs, Grand Teton National Park “averages” 15-30 major search-and-rescues a year. But even in a busy year like 2003, which included a daring rescue of 13 climbers who had been struck by lightning on Grand Teton’s Friction Pitch, the search and rescue bill for the entire year was $160,000. The bill for just the Kuhl-Seftick search was $115,000, including $18,000 in wages for park employees reassigned to help in the effort. In addition, a landmark 1991 federal appeals court decision found that park rangers have almost complete discretion in deciding whether to order a search and rescue operation. The case, Johnson v. United States, involved an inexperienced climber named Ben Johnson, who in 1987 became separated from his friends after climbing Buck Mountain in Grand Teton National Park. Rangers found Johnson’s body the next morning in a melt pool near Timberline Lake where he had died from hypothermia the previous night. Johnson’s parents sued the Interior Department, alleging that park rangers failed to “adequately regulate climbing in the park”; failed to launch a prompt rescue effort after a companion of Johnson reported him missing; and failed to conduct a reasonable search when they finally went looking for him. The case drew considerable national attention among outdoors enthusiasts fearful that a ruling in favor of the parents would greatly restrict public access to potentially or — as in the case of climbing — obviously dangerous wilderness areas. To avoid liability, the government would have to curtail risky activities in which safety could not be assured. Current and former park rangers are well aware of the decision and its implications. The Johnson decision grants rangers authority similar to that of a captain at sea when it comes to rescue or recovery missions. Among other things, the decision meant that rangers could put the hazards faced by the rescuers first and foremost in deciding whether to make a rescue. The decisions are easier when rangers know the object of their search is already dead. In 2009 there were 151 fatalities in national parks. Jackson recalled a case in the 1980s when a rescue team spotted the body of a fallen climber in a couloir— or steep, narrow opening— below a Teton formation known as Molar’s Tooth. Searchers decided the risk of ongoing rockslides made it too dangerous to make a recovery. The body, said Jackson, is still there. According to deputy coroner Hodges, Walker Kuhl and Gregory Seftick had been dead nearly two days before rangers began their search on April 18. But until their bodies were found a week later, the rangers diligently went about their work in hopes the campers were still alive. “Until we actually lay hands on the dead bodies, I’m not ready to write anyone off,” said Guenther, who commanded search operations. The first ranger assigned to the case on April 18 was incident duty officer Chris Harder, who found the missing skiers’ two vehicles at the Taggart Lake trailhead. A check that afternoon with the ranger office in Moose revealed that the two men had obtained the necessary backcountry permits and told the staff they were headed to Garnet Canyon in hopes of exploring Teepe Pillar and Teepe Glacier. (Ironically, the features were named for Theodore Teepe, an early mountaineer who died in a climbing accident in 1925). Other skiers reported seeing two men resembling Kuhl and Seftick in the area on Saturday. The rangers managed to get the leased helicopter into the Garnet Canyon area during a brief window on the evening of April 18, but erratic winds and poor visibility hampered their efforts. On Tuesday, April 19, four-person teams skied into Garnet Canyon and the helicopter made another sortie in hopes of spotting the two men or their campsite. As weather cleared on Wednesday, April 20, the searchers mounted their biggest effort yet, with more than 60 people on the ground. Rescue teams with avalanche transceivers, probe poles and sonar devices were joined by two canine search teams. Because of the difficult weather, continuous threat of avalanche and generally hazardous conditions, Guenther deployed a mixture of trained park employees and professional searchers, paid $27 to $37 an hour, to do most of the work. 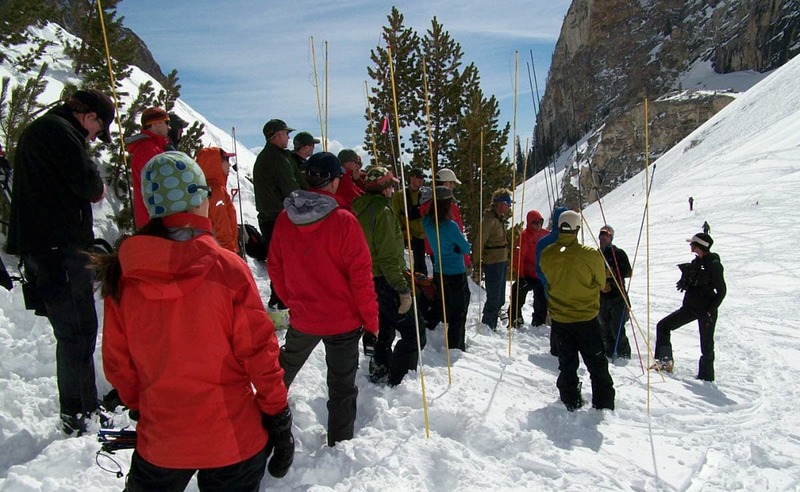 The teams included trained rescuers from Teton County Search and Rescue; Teton Interagency Fire; Bridger-Teton National Forest and Bridger-Teton National Avalanche Center; Jackson Hole Mountain Resort Ski Patrol; Wyoming K-9 Search and Rescue; Grand Targhee Resort Ski Patrol and canine teams and mountaineers from Exum Mountain Guides and Jackson Hole Mountain Guides. Guenther said he felt driven to continue the search because of an experience he had in 1995 when he was working as a seasonal climbing ranger in the park. A 25-year-old climber from Oregon named Aaron Gams disappeared near the summit of the Middle Teton as a winter storm swept into the range. Guenther said the mounting cost of the Kuhl-Seftick operation was never a major factor in his decision. “We look for efficiencies but in my time as a ranger we have never made a determination to go out based on cost,” he said. On literally the last sweep of the day, Saturday April 23, ranger Nick Armitage picked up a signal on his avalanche transceiver. Although most backcountry skiers turn off their avalanche beacons in the campsites, Kuhl and Seftick had left theirs on. The search teams “dug like heck” through the dense snowpack and picked up a second signal before it became too dark for the helicopter to land. They returned on Sunday, April 24, and found the two men’s bodies. Still in Jackson Hole after his 1995 brush with death, Aaron Gams, now 40 and a massage therapist, recalled his own gratitude to Guenther and the Jenny Lake rangers. Gams, whose core temperature dropped to 86-degrees before he was rescued, lost eight of his toes to frostbite. Gams said his medical care after the incident cost him more than $20,000 but that, for him, the national park rescue was free. To create a way for people who have been rescued or their families to support search and rescue, several national parks have created non-profit funds where citizens can make tax-deductible contributions. 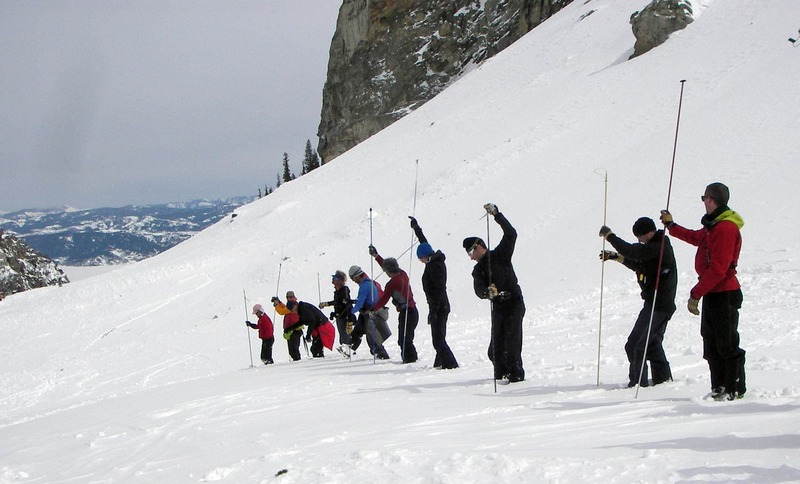 The Grand Teton Association, the nonprofit organization that runs the park bookstores and other enterprises that benefit the park, recently created the Jenny Lake Ranger Fund so people can donate money for additional training and equipment. “This gives people like grateful families a place to donate and support search and rescue without giving directly to the government,” said association executive director Jan Lynch. Donors can send checks to the Jenny Lake Ranger Fund, c/o Grand Teton Association, P.O. Box 170, Moose, WY 83012. DOWNLOAD a high-resolution .PDF graphic detailing the lost skier search timeline.